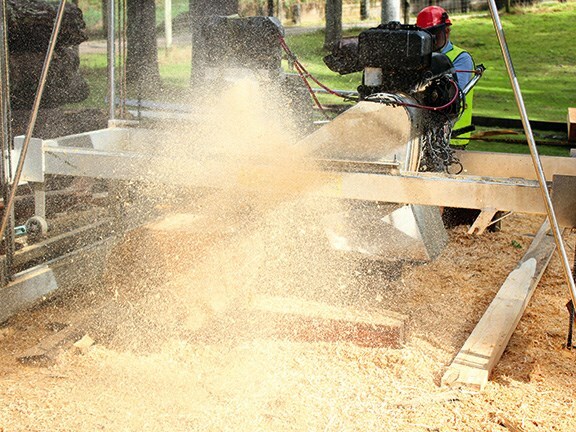 The more sawdust, the more productive the working day. 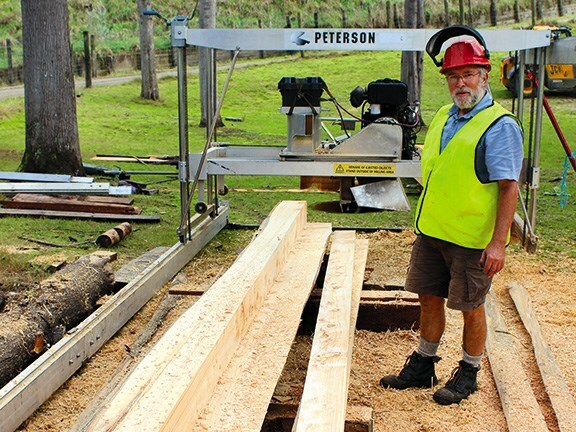 Heinz Vullings and his Peterson Portable Sawmill - the third he has owned. 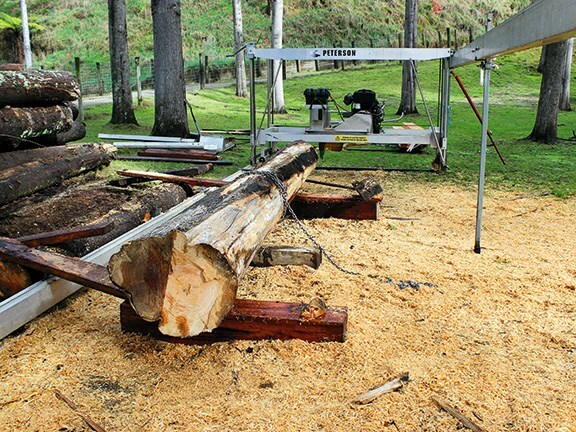 The lusitanica logs make for easy milling, especially as they have been waiting to be milled for around a year. The Peterson WPF makes working solo an easy task. Heinz makes adjustments to the mill head before tackling his next log. Putaruru-based Heinz Vullings caters for a number of private clients and operates his Peterson mill all over the Waikato. Sizing winches for the frame are operated from one end, speeding up workflow for a solo operator. All of the components are well machined and designed to ensure excellent ease of use. Sizing conversion table on the side of the Peterson WPF. Robust, reliable, and endlessly flexible, the Peterson Portable Sawmill range provides millers like Heinz Vullings with the perfect tool for the job, wherever it might take him. If you want to speak to someone who has staked his reputation as a miller on Peterson Portable Sawmills, look no further than Putaruru-based Heinz Vullings. A fitter and turner by trade, Heinz turned to milling for the private market 20 years ago. Apart from a short time spent utilising a competitor brand's machine (as an emergency replacement after his second Peterson swingblade mill was stolen), he has stuck with the brand. Twenty years on, Heinz is operating his third Peterson. 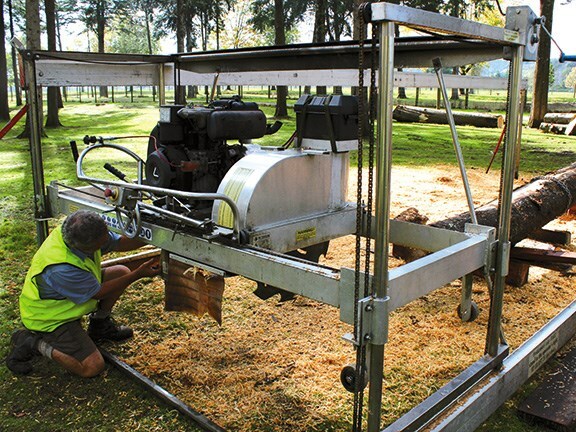 I catch up with him on a farm block near the shores of Lake Karapiro in the Waikato, to check out his Peterson Winch Production Frame (WPF) model. Thanks to its rugged construction and raised track system, Heinz says the WPF will allow him to mill practically anywhere a client needs him. "Most of the time I'm working by myself, so I've always liked the fact Peterson mills can be set up single-handedly. If it's just me placing it on site, I can be good to go in around a couple of hours. Sometimes I have a helper who will come and assist and that cuts the time down by half. 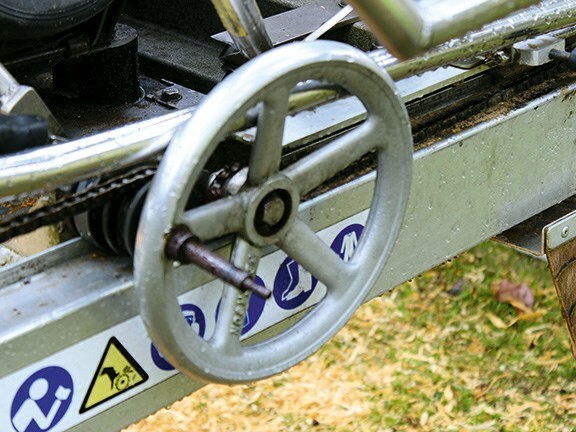 "It's easy to disassemble too — the main cage is supported on jockey wheels which makes it easier to get into the trailer. It compacts down pretty neatly. I have a 2.7-metre trailer and it fits on that comfortably." With ease-of-operation and portability being high on the check list for Heinz, he's also yet to meet a log he couldn't mill with the Peterson. "The mill is easy to adjust to suit the diameter of different logs," he says. 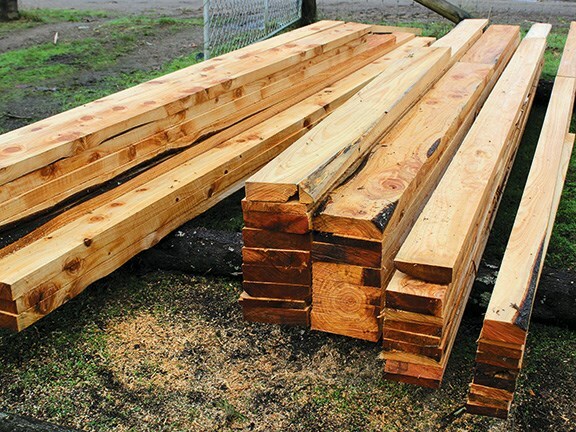 "The lusitanica I'm milling today is pretty small — the client wants it for furniture and sarking — but I'm often tasked with milling much bigger logs like macrocarpa and gum." 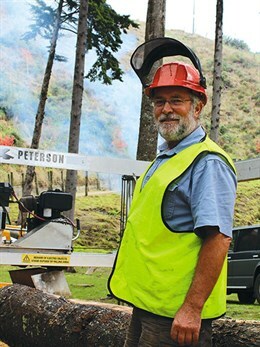 The Peterson WPF's raised track and frame system allows Heinz to mill oversized logs — he has even put the entire frame (a robust and rust-resistant alloy and steel design) on stilts in the past to mill two-metre-plus diameter macrocarpa. Both vertical sizing winches, which are used to raise and lower the mill head within its frame, are positioned at one end of the setup to reduce the need for Heinz to walk back and forth making incremental adjustments. 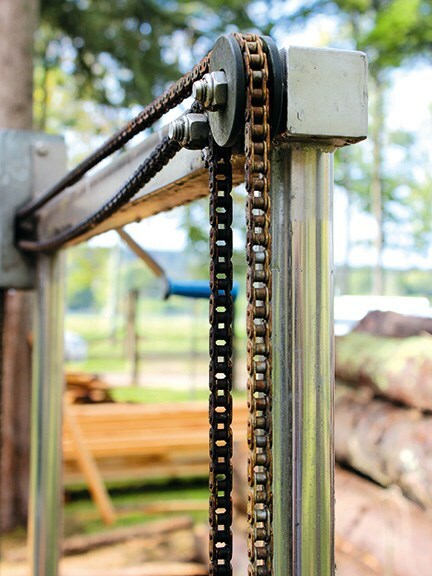 Additional resetting can be completed by Heinz to allow for log taper, ensuring he's getting the most efficient cuts from each piece of timber. "The bigger static mills are all computer-aided these days but I enjoy doing everything by sight," Heinz says. "I can set the blade precisely to maximise what comes off the log. 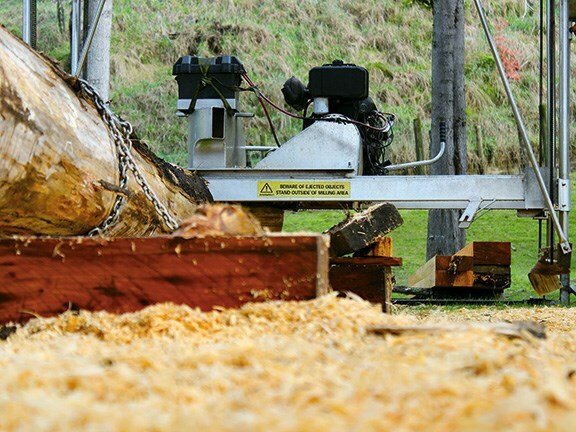 It's straightforward to mill the log left to right and then swing the blade over to make the vertical cut." Catering for a variety of low volume niche markets, such as furniture builders and artisans, Heinz loves his work and working within a variety of landscapes. Heinz is booked up three to four months ahead most of the time and after 20 years in the business recently made the decision not to bother working in the rain anymore. "It's not good for the machinery, it's not good for the wood, and it's not good for me," he says. "I love timber — it's a real interest for me. Occasionally I'll buy certain logs because it's interesting to mill, to see what can be created out of it. In fact, I'm probably a bad miller in that respect because I'm not just focused on the money!" he laughs. Regardless of whether Heinz is milling for business or pleasure, it appears Peterson Portable Sawmills has him covered. 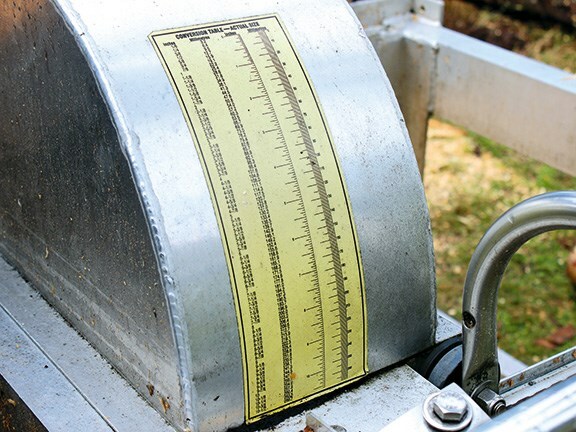 For more reviews of farm forestry machinery, subscribe to Farm Trader magazine here.